Utah Energy Work provides some of the fastest, deepest, and easiest energy healing available with our proprietary Intuitive Bridge modality, developed over 30+ years of practice. We specialize in quickly locating and addressing stuck foundational energies – deep patterns that cause negative thoughts and feelings, and that limit your ability to experience love, success, health, happiness, hope, and other life satisfactions. You’ll be surprised at your new perspectives and how good you feel after even a single session! Washing your windshield. You suddenly realize how dirty it has been all along and you wonder how you ever got by! Waking up from a long, tiring dream – as if you’ve been living in a video game your whole life. You played your role, tried to meet expectations to keep everyone smiling, and never got to be your real self. Pinocchio. Your body comes alive. You suddenly feel yourself breathe, your heart beat, and your limbs move like never before, and it feels great! Being named “Most Popular” of your class. People enjoy being around you, genuinely value your friendship, and you enjoy your relationships more as well. Post op relief. That deep, sharp emotional pain has been surgically removed and doesn’t bother you anymore. Getting out of prison. Choices appear where you hadn’t seen them before, and the difficult choices you want to make become easier. You stop responding to people’s subtle manipulations and expectation games and live your own life instead. Typical energy workers either intuitively sense and adjust your energies or contribute positive energy to you, which can prove very relaxing and beneficial. Utah Energy Work goes two steps further for even faster effortless healing effects. Through our unique modality called “Intuitive Bridge,” we “explore” your inner energetic core, identify blocks such as fears, wounds, and limiting thoughts, and trace them to their origin points. If healed at that point, you won’t need to continue dealing with them over and over again. You have “arrived” (on the path) only when life becomes effortlessly joyful and successful. We may also elect to focus on making you more aware of your talents and other strengths and boost your ability to put them to work, which is the most joyful way of living. Many Utah Energy Work clients are experienced energy workers and attest that this type of energy work goes deeper, faster, more easily and permanently than other modalities they have experienced. Click the “Client Comments” article category to read specific comments, and learn many of these skills (to use on yourself) in our new book, Heal Your Emotions: A Practical Guide to Speaking Your Brain’s Languages and Turning Pain into Power. Shaun began his study of energy work over 30 years ago with Holodynamics and basic energy skills including “soul reading” and instant headache relief. His interest led him to practice and perfect his skill set. In the process, he observed many limitations inherent in the techniques he had learned and continually sought “shortcuts” which delivered better results faster and easier. His career path eventually led him to become a vice president for ZYTO Corp., representing the cutting edge of biomedical technology. 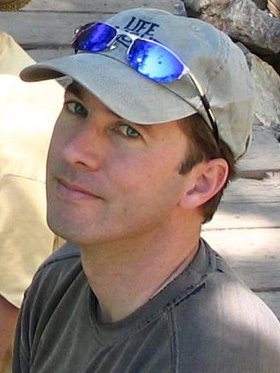 He was instrumental in the development of the LSA (Limbic Stress Assessment, now named the ZYTO Elite) and EVOX (a highly effective voice-centered emotional-release technology) and was in constant communication with leading practitioners from many fields who frequently shared their expertise in advanced modalities including Synergia, which perfectly complemented Shaun’s desire for fast, deep, effortless, and permanent transformation. As a result of the prodding and encouragement of many professional healers to make his skills more widely available, Shaun established Utah Energy Work in March 2008, and has continued to innovate and add skills including becoming a Reiki Master Teacher. Contact Utah Energy Work today to schedule your appointment!